I am sorry that I have been so quiet lately. There were many things going on in many facets of my life and I had to take a step back for a time to make sure all was taken care of. I will begin offering classes in my home once again this month and am hoping to see you all. I have missed you! I don’t know about you all but Fall is my favorite season! I love the cool, crisp air and hopefully it will get rid of the rest of the gnats that have taken up residence in my house. I have been diffusing Citronella non-stop trying to get rid of them! Live Your Passion Rally is this Saturday! 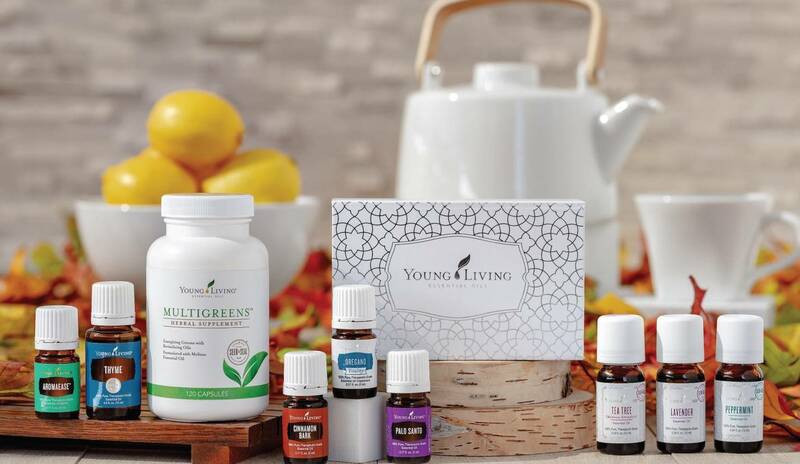 Young Living always releases great announcements and sometimes even new products! If you can’t make it to a rally, keep an eye on your email and I will fill you in on the news! 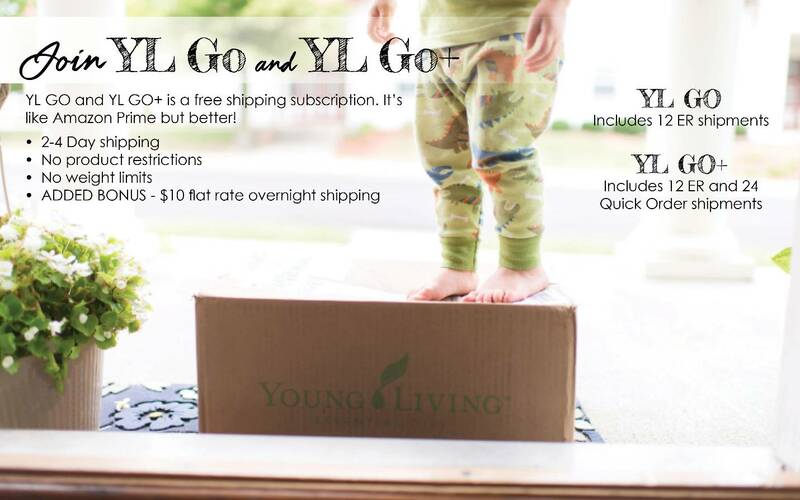 YL GO and YL GO+ subscriptions are still available at launch pricing of $59 for YL GO and $129 for YL GO+. I signed up for YL GO. Getting my ER orders with free shipping is such a blessing! Try it out while it is still at the launch price! You don’t want to miss this class that Nina is offering regarding hormones, stress management and supplement support for you. Come learn about the starter kit and what it can do for you! Come watch the sunset, sip on some oil infused beverages and smell the oils! This is an open house format! Business oil of the month is the MOTIVATION blend! The holiday season is almost here. Find motivation this month and on into the holiday season with the Motivation blend. If you don't have the Motivation blend yet, get it in your ER order STAT! Diffusing Motivation is also perfect for those of you who are building your Young Living businesses. This is the busiest time of year for us! Diffuse it when you need a kick in the pants to get 'er done or need to stay on task. 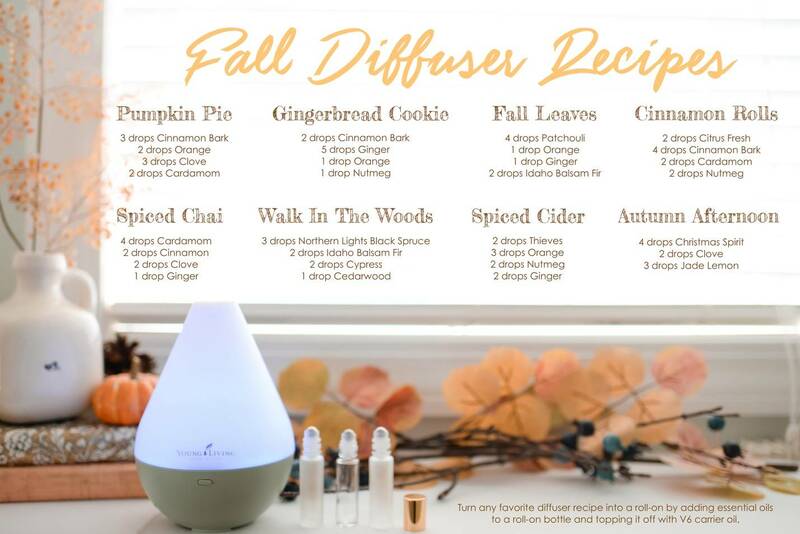 My favorite of these diffuser recipes is the “Walk in the Woods”! Give it a try! You won’t be disappointed! Our Seed to Seal Story Collection: Seed to Seal exclusive 10-ml Lavender, Peppermint, and Tea Tree essential oils. Three popular blends you can give as a gift or keep for yourself! MultiGreens: Take MultiGreens capsules daily to boost vitality by supporting your immune system. This season of sweets calls for all the extra greens we can get. 5-ml Palo Santo: Cleanse the air with Palo Santo before family and friends arrive. This sweet, woodsy aroma will warm up any space for moments shared and memories made. 15-ml Thyme: Find your purpose as a family by diffusing Thyme with Eucalyptus and Lime. 5-ml AromaEase: Its blend of Ginger, Peppermint, and Fennel is the perfect aroma for post-feasting relaxation. You are definitely going to want this one for Thanksgiving, so get it free now! 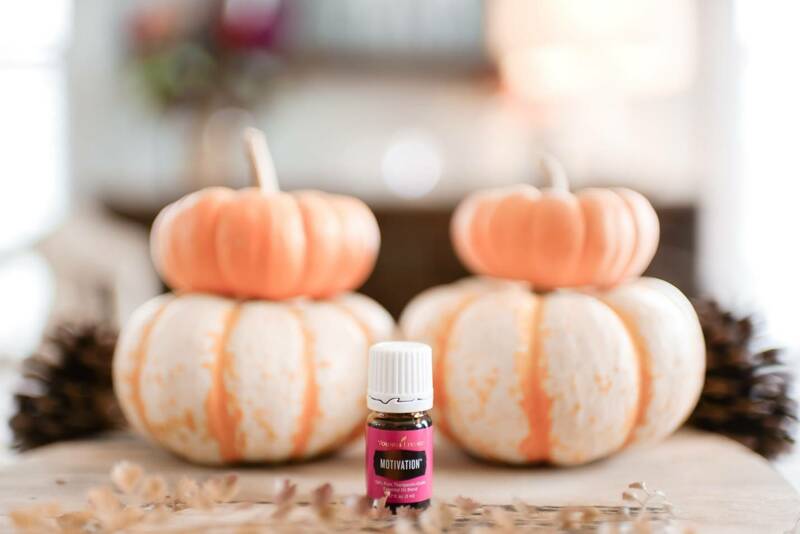 Bonus Essential Rewards exclusive 5-ml Cinnamon Bark: We all know this scent screams fall and you will diffuse it often this season, so what better way than to get an extra bottle FREE! Bonus Essential Rewards exclusive 5-ml Oregano Vitality: Infuse a bottle of olive oil with 15-20 drops of Oregano Vitality. Mix it with vinegar and use as a bread dip for an easy appetizer. 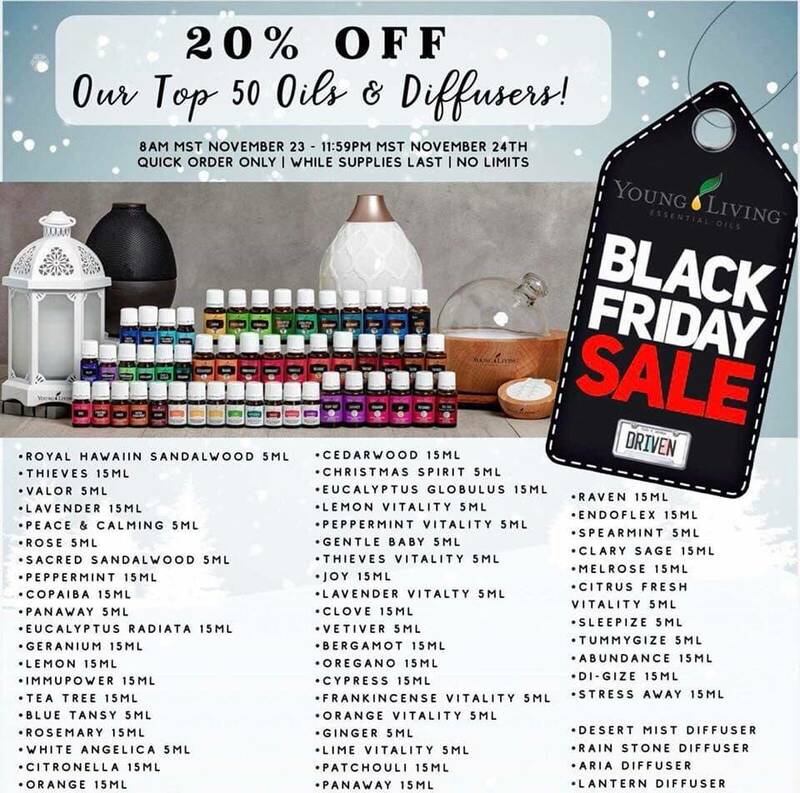 • In the event that supplies of these items become unavailable, Young Living may replace promotional products with equivalent products of a similar value. This month, I want to encourage you to share your oils with ONE person. Aren't you glad your enroller shared with you? If we all reach ONE person, we will help so many more people who are struggling to find wellness, purpose, and abundance. How to share your oils with others. 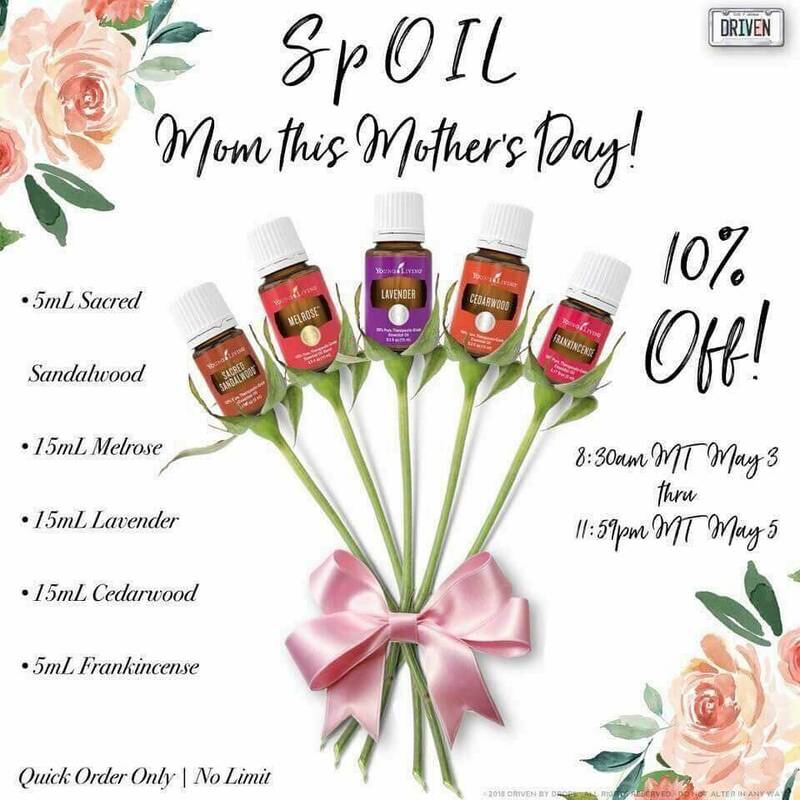 Use your oils in front of your friends or family. Share a sample with a friend in need. Tell your mama, sister, brother, kids, cousin, or neighbor that they NEED their own kit! Listen to what people are telling you they need. Use your reference materials to find some suggestions about what they can use. Show them the value of the kit. Give them your very own member number so they can order their own PSK. When you help a friend get a PSK, you will get a $50 “Thank you check” for spreading the love. This is a great way to help others and get some extra holiday money. The Young Living business opportunity has blessed many families, even families on this very team. They are receiving monthly paychecks that cover their YL products, groceries, car payments, and even mortgages. I didn't think I would ever do this business and it has not only been a blessing for me but it has also changed the lives of those I have shared my oils with and helped order their very own Premium Starter Kit. I want to make sure you have seen the NEW 2018 Income disclosure statement. Here is a snapshot. Yes, those are MONTHLY incomes. Find the full Income Disclosure statement HERE. If you need help finding your member number, I can help. *You must spend 50PV during the same calendar month that your new member orders the PSK in order to receive your $50. If you feel like helping 5 people this month, Young Living has a special gift for you! 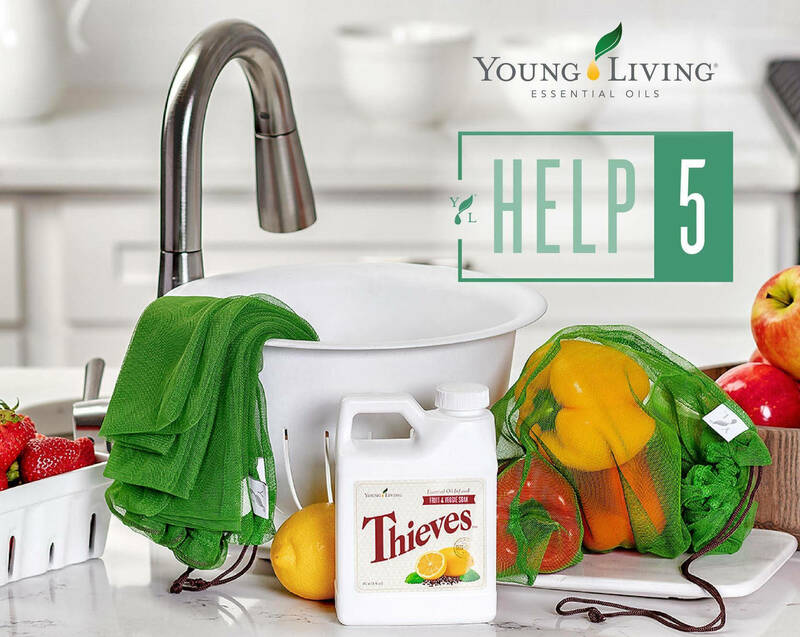 Qualifiers will get a 16-ounce bottle of Thieves® Fruit & Veggie Soak and five YL-branded reusable mesh produce bag. This month's gifts are inspired by the Young Living 5x5 Pledge and their goal of becoming a zero waste company in five years. *New Essential Rewards enrollment includes members who you get back on the ER program after they have been inactive on ER for six months or more. Hope to see you in October and catch up with your lives!